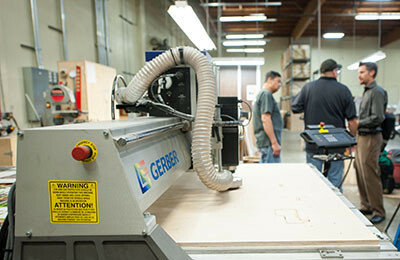 Designed, and manufactured in the U.S.A. Everything is made under one roof in our Oakland manufacturing and design facility – which means, no outsourcing; we keep the client's vision at the forefront of each part of the process from design and development to the finished products. Located in an area of California that is the epicenter of legal cannabis and the first local area to create medical cannabis laws. We are proud to be in the Bay area of Northern California where deep community support for innovation allows pioneers like us to thrive in this developing industry. We provide beautiful, sustainable packaging that reflects the quality of your products and the brand identity of your company. We create innovative, customized solutions for your individual needs. We seek to establish long-term relationships with clients, so they have a reliable, consistent partner for all their packaging for the life of their business. We love to align with passionate, like-minded people allowing for ease and flow of business and exchange of ideas all working towards fulfilling your needs and goals. We are your open source for info, guidelines, and education. We believe in challenging the status quo by designing, manufacturing, and distributing inventive packaging made with sustainable materials. We believe in being honest, direct, and open minded every step of the way. We are unafraid to take risks and seek to help set standards in the cannabis industry with our process, service, and products. Our ethos is teamwork, integrity, and a strong sense of community, which translates into a highly-efficient and impeccable job done for you. We are vertically integrated and take a hands-on approach to everything. We embrace the benefits of cannabis and want to play our part in bringing this powerful plant to the marketplace. Our combined personal and professional experience with cannabis informs our enthusiasm and passion for this industry. We want to help this industry advance forward in positive, beneficial ways that help business, industry, and society to thrive. WHY The Name "SUN GROWN"
Sun Grown packaging’s name derives from nature, so we chose a name that reflected our roots and our purpose. We recognize the unique challenges and opportunities of the cannabis industry and seek to create original sustainable solutions. Sun Grown Packaging is thrilled to be playing a vital role in the cannabis industry, and its positive growth.